Got an awesome idea? Yeah you do! Need help getting it up? 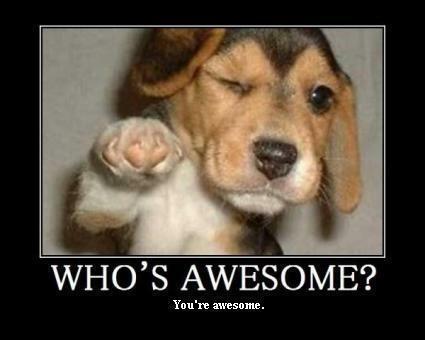 Enter the Awesome Foundation; a monthly grant of $1000 awarded to people doing something awesome, no strings attached. Sprouting roots in Boston a year and a half ago, the foundation works by distributing monthly grants of $1000 self-funded by local groups of ten micro-trustees to ‘awesome projects and their creators’. Awesomeness? What does an awesome idea look like? How about a hip-hop word count? HOLLA! Do you like robotic lamps? Yes please. If previous projects are an indicator, awesomeness is not limited to any one industry or purpose; from community farming initiatives to hip hop linguistic tools, a diverse array of projects got a nod from the Foundation this year. Most recently, the Berlin chapter announced their first winner to build a sleigh track for the whole community, a “Wilde Schlittenfahrt”, a wild downhill sledge ride. HOLY AWESOME! Wilde Schlittenfahrt aka Wild sled ride – Awesome Foundation Berlin grantee Konrad explains his idea from Henrik Moltke on Vimeo. Boston’s concept has rapidly grown wings with an international alliance of chapters committed to ‘sustaining and promoting the interest of Awesomeness’ across the globe. Next stop, Melbourne. I’m pumped to be joining the Awesome Foundation trustees on the Melbourne adventure, who knows what 12 awesome projects will be supported in a year’s time? Outside Melbourne, The Awesome Foundation chapters can be found in Berlin, Boston, London, Los Angeles, New York City, Ottawa, Providence, San Francisco, and Washington, DC. Make sure your awesome idea is put up for consideration and apply. Chances are, there is an Awesome Foundation near you. FAQ – The Awesome Foundation. Keep updated on The Awesome Foundation Melbourne Twitter with @awesomemelb & their trustees. Try to DoGood and you fail. DoGooder was a plug-in for your browser that replaced traditional ads on the websites you visited with ads that raised money for good causes. Which messages would you rather see while you were browsing online? Buy a Chevy Malibu! Get the New American Express Gold Card! Watch the Real Housewives of New Jersey on Bravo! Eat ReddiWip! Ride your bike to work. Support urban farms. Fertilize your garden with used coffee grounds. Donate your old phone. Pee in the shower. It was an interesting idea. To swap ads that a visitor sees on a website so they are presented only socially-minded advertising. They aimed to give 50% of their profits to charity, and keep the other 50%. Sounds like a feasible business venture. But they needed a large network of people running their plug-in to attract the advertisers, and make the business profitable. Unfortunately the demand was not there, and in the end it was lack of income that resulted in the network closing. Why did people not use DoGooder? – Felt they were stealing income from the site owners (by switching out ads, the income that would have been generated from click-throughs on the original ads would now go 50% to DoGooder and 50% to charity). – People like bad online advertising. Whatever the reason, it is sad to see a charity supporting, socially-minded online business shut it’s doors. If you didn’t have to do much, to do some good, would you? Hint: It would have taken 10 seconds and it was free. Would you have used DoGooder?